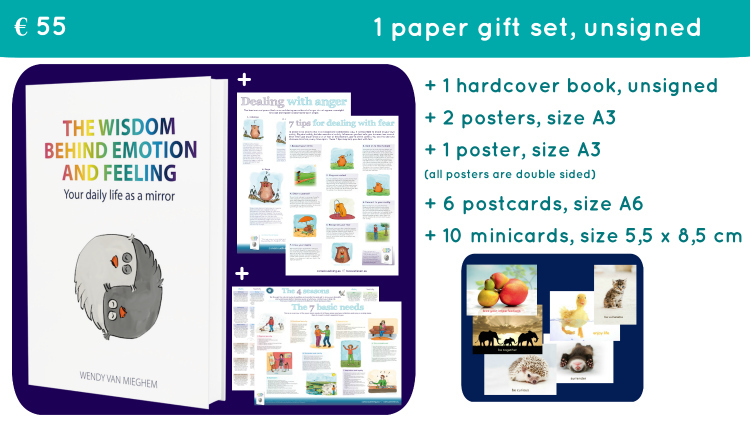 In order to celebrate the publishing of the book The wisdom behind emotion and feeling, author Wendy van Mieghem interviewed all of the professionals that were part of the creation process. All of them were reluctant to participate at first. Yet they conquered their fears and they were interviewed, on tape (! ), summer 2018. Below you find the full interview with editor Hanneke Blijham, both text and a video. This interview can also be found on Kickstarter. Enjoy! Can you tell us a little bit about who you are or what you do Hanneke? Iâm a primary school teacher. I teach children who come to our school and donât speak any English. Before I started teaching, I travelled the world. I worked in several countries and had a variety of jobs. I am qualified to teach English to speakers of other languages and I did a Dutch-English tranlator study. You helped me to edit the text of the whole translation of the book The wisdom behind emotion and feeling. Iâm so grateful Hanneke for your efforts. What was it like for you? I would call it an amazing linguistic adventure. It was playing with words and playing with the language. And I love that. It has taken us a year and a half to finish it. It was a learning curve, for both of us I think. It was hard work, stressful at times, both being perfectionists and wanting the very best. Iâve helped you to bring your message across to people in a pleasant way. I also remember that you asked me at some point if I wanted to translate the whole book. And Iâm so pleased that I didnât. Because through the process I realized that it was so your book. And I could never have translated that for you. Because it is your voice speaking to the people. Well, I could have translated it but it wouldnât have been right. 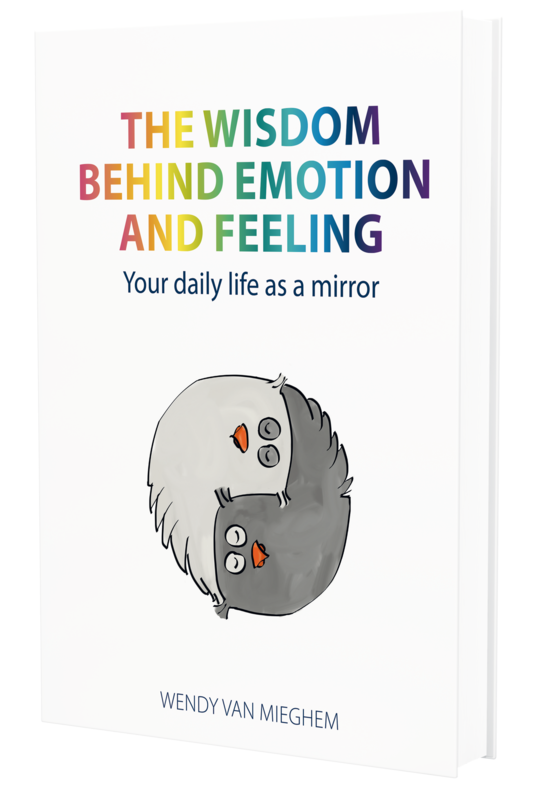 How do you feel about the book The wisdom behind emotion and feeling? Itâs easy accessible. Everybody can read it. It is nicely laid out with clear chapters. It is written in a language that everybody can understand. You can pick and choose the subject that you think is helpful for you. You donât have to read the whole book in one go. 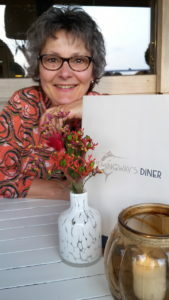 What inspires you Hanneke? Whatâs your passion? Language is a passion of mine. Thatâs also what inspires me: people who pursue a passion. People who at some point in life realize that they want to do something totally different, drop everything and follow that passion. People like you as well, who just do what they think theyâre good at and follow their passion. People that have the guts and the strength to do that. Did the book touch you or move you in any way? The book The wisdom behind emotion and feeling has touched me and moved me in many ways. First of all, reading about things that I can relate to. So, itâs also a process for me that I went through. I read about things that made me think: âMmm, OK, this is me.â So I could really relate to it and learn from it. But the thing that moved me most was your personal story. That came as a surprise in the end; it did; I hadnât expected it. All the examples that you gave were really good to read. And then all of the sudden there was your story. It moved me. Realizing where you came from and probably the reason behind the writing of the book. It also helps people who read it, realizing theyâre not alone. Thereâs other people who are struggling and having to cope with feelings and fear and pain. Everybody can relate to bits in your book, everybody. And thatâs the good thing. Itâs an excellent reference book, experience based. You have come from really far, and you have come through so much. You want to help people who are in the same position and you can share your experiences and your process with anybody who needs it. Yeah, that I think was very powerful. Thank you so much Hanneke for having this interview with me. And, again, thank you so much for all of your efforts and hard work. It really paid off!